The history of the earth is comprised by stories of men and women like you and me. Experiences compressed through time to make a greater story. This is our moment to tell our story. Because like it or not, history will read the pages we are currently writing. I don’t care if they know who I was or who you were. Most likely future generations won’t talk about which church had the most campuses or who toured the conference circuit. They will want to know our true story. They did something. The world around was falling apart, but the people of God did something. Their plans weren’t perfect, but regardless of failure they got up and kept going. The Church didn’t make excuses, they made progress. Their short-comings didn’t haunt them. 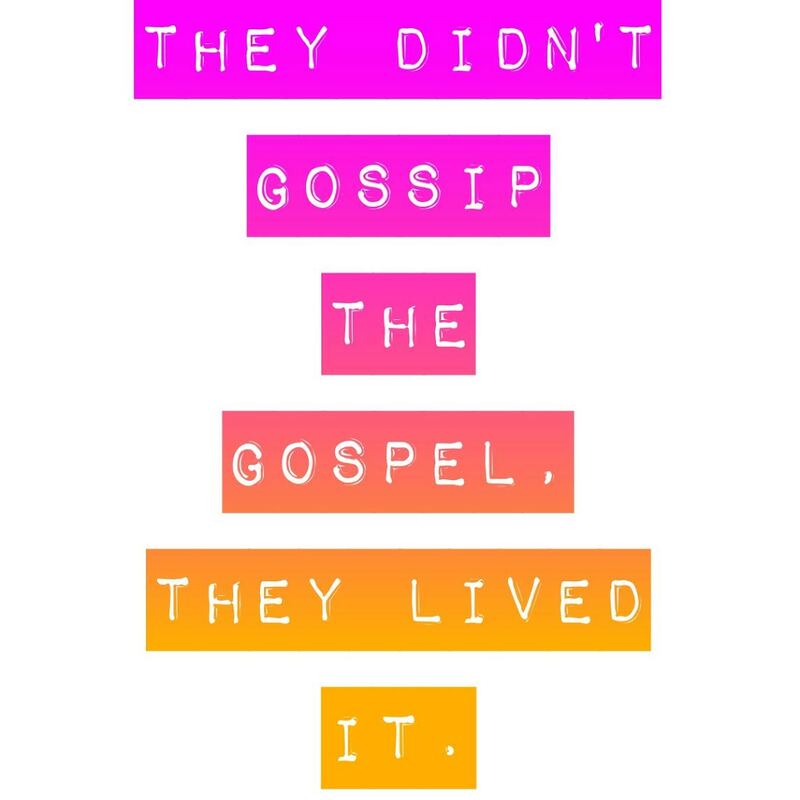 They didn’t gossip the Gospel, they lived it. They advanced it. Each one looking at the brokeness in front of them and responding. Big or small. There were no ordinary days. The Church in that generation found their voice. A mighty voice that roared on behalf of the silent. They were driven by a love for the Greater. They solved social problems previously thought un-solvable. When they grew weary they rested in the presence of God and drew from wells that never ran dry. The people of God never gave up. They sat around their kitchen tables dreaming into the Kingdom. While riding in their cars they called upon heaven to intervene on behalf of the disenfranchised. Miraculous things happened. There were no ordinary days. Each one took the tools they had and worked. Labored – remembering the stories of generations before them. Holding to the testimony that has preceded them. The vision was greater than a fleeting pleasure and righteousness grew in their midst. They risked everything knowing that Eternity calls their name. There were no ordinary days. History may have forgotten their names and faces, but a greater Kingdom knows them well. The fruit of that generation is still being harvested today. A group of courageous people who stood up when they didn’t have to. They did something. In the Kingdom there are no ordinary days. Let’s give the historians something to write about. Let’s do something. 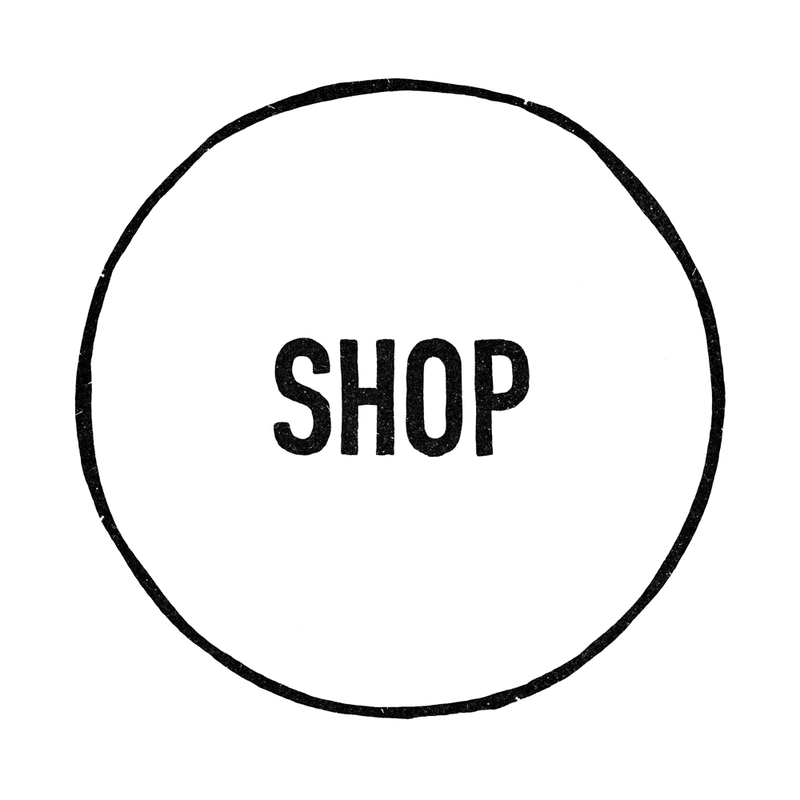 Subscribe to Lark & Bloom in the sidebar. Leave a comment or share this post via social media by clicking here. I was just like every other kid in junior high. Twelve year old Liz with big red glasses, shoulder length sandy blonde hair and teeth that were begging for some braces. My arms and legs were too lanky for my body and everything I did was awkward. Painfully awkward. I was just like any other junior higher, except for one thing. I lived in Irkutsk, Russia. My family moved to Siberia when I was eleven and it remained my home until I was thirteen. Those long Siberian winters and their stories are preserved deep in this soul. The food, the smells, the sights. The people. Mostly the people. I don’t think you could separate those experiences from me. They are so woven into my perspective, thoughts and dreams that to remove them would be to unravel me altogether. Russia marked me. I only lived there for two years. No, I don’t really speak Russian anymore. If I am around it then it will come back, but sadly I am no longer fluent at the drop of a hat. Umm, no. No I haven’t gone back. Yea, I know it was a long time ago. I bet you are right. A lot has probably changed since I’ve been there. Oh, really? You lived in Spain for eight years. Yeah, I’d love to hear about it. At the end of the conversation I am left feeling a bit small. Like people expected more from me. Or I am surrounded by people who have lived overseas longer, currently speak Russian or have visited since I lived there years ago. I don’t remember the answers to their questions. Suddenly, I feel a bit disqualified. Probably like a guy who played junior high football would feel surrounded by college players. Still a football player – but not really compared to them. And it hurts when something so significant to you seems insignificant to someone else. So I don’t bring it up all the time. I hate feeling that it wasn’t that big of a deal. So I hold it tucked next to my heart and only share it with the people who make it that close. A friend of ours, Ryan, visited Russia this summer on a mission trip. While there he spent time in Irkutsk and he came back with a gift for me – a gift from Natasha. After trying to figure out which Natasha, cause there are like a billion of them there, I learned it was from my friend who lived near us in our first apartment. She was one of my very first friends in Irkutsk. Now as an adult, she attends the church that my family moved there to start. And when Ryan came to work with that church, she sent back a box for me. A box that made me cry. There was a sweet note that was written in English, but with that distinct Russian handwriting – “ To Elizabeth with love from Siberia.”. Each item brought back a flood of memories. A beautiful box made of birch wood – carved by the hands of a people I love so much. A Christmas ornament that will go front-and-center on my tree this year, I assure you. Some yummy chocolates to have with a cup of hot tea. And then, I opened the silver box. 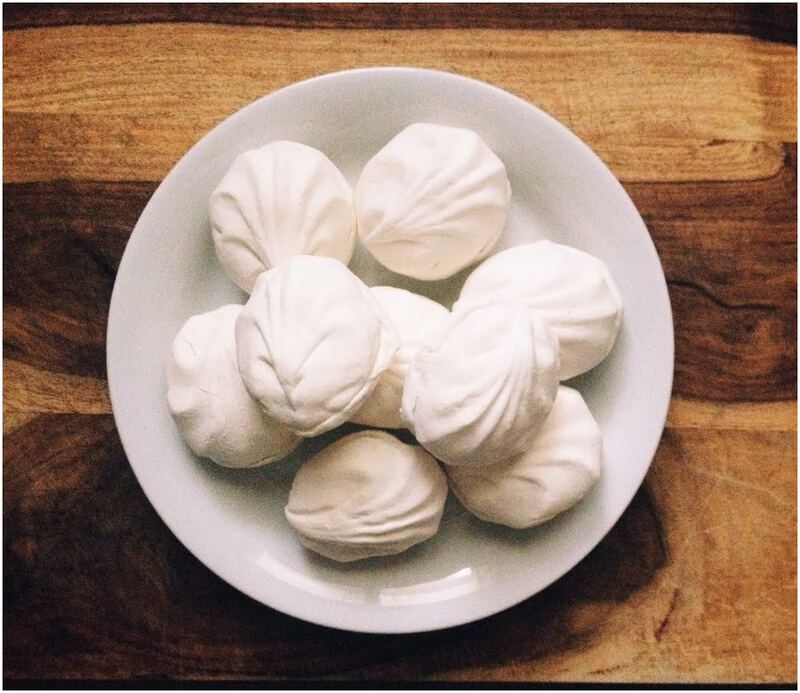 Inside was a bag of meringue cookies. I just stared. How could she possibly remember that? Tears came. She remembered. Natasha remembered. Those cookies were one of my favorite things in the world. Any time I passed a stand or kiosk selling them I would always stop. There was a bakery down the road from my house that sold them and I went nearly every afternoon after school. And she remembered. Peel back the layers of time, the change of government, the loss of language, the nineteen years since I had seen Natasha… and it was all still there. Because it happened. Because I was there. So, what if others have more international experience than I do? Or more language skills. Or more up-to-date information on the country. So what if in a conversation among expats my experience doesn’t compare to theirs. It is my story. And Natasha knows it. All of us feel the same way to a degree. Our story is big to us, but compared to another’s it seems to lose a bit of its glitter. Making the rounds at parties we don’t feel we have anything interesting to say, because sometimes we fear that the things that have become part of us are only average. We look at people and decide within our minds that our stories are not worth telling. At least not loudly. If I had a magic wand, I would do what Natasha did for me. I would send you a silver box and inside would be that thing that helps remind you of your story. The love you lost, the book you started to write, the college degree you loved but didn’t set you apart. You would pull out your junior varsity swim jacket and rock that thing in front of Michael Phelps himself. Or that high school basketball trophy? Shoot I’d send that to you with a chain so you can wear it like a baller. 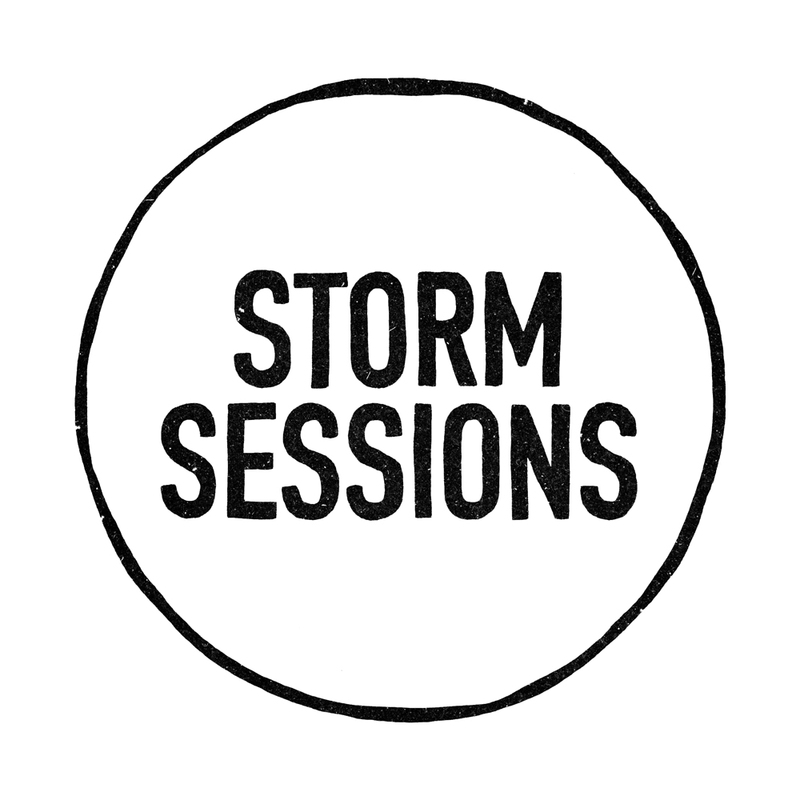 ‘Cause it’s your story and it is worth telling. And while your life may not be the thing of best-selling novels or Oscar-winning films – it matters to you and to the people you shared those stories with. And it matters to God who composed the whole thing Himself with a beautiful vision that we can’t even begin to touch in our wildest imaginations. Natasha, who I haven’t seen in almost twenty years, sent me cookies and it tells my story. I don’t know what is in your silver box, but you know what? I hope you tweet it, Instagram it, share it with the world. ‘Cause it’s your story and it’s worth telling. The summer between my senior year in high school and my freshman year of college I had this same exact feeling. I remember sitting in my front yard late one night next to a boy. I found myself pulling grass out by the fist full – doing anything I could to delay the inevitable. He and I had said all the things there were to say until there was nothing left but the one thing. The thing that hung so heavy on my eighteen year old frame. “We have to break up.”. It was hard. There were tears and doubts. Years have taught me now what love is and that wasn’t love. But it was sweet and kind to me – whatever it was. I let him walk away that night unsure if someone better would ever find me, but I knew that sometimes you have to let go in order have space for the next thing. He was a good thing no doubt. But he wasn’t my good thing. I snapped this pic a few weeks ago on top of Table Mountain in South Africa. 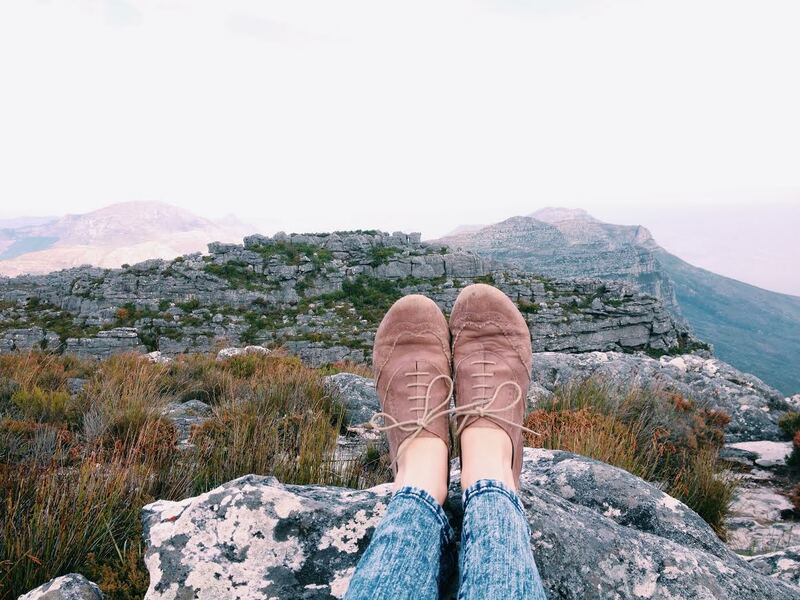 This summer I have put in some miles and these feet of mine have carried me through numerous cities in the US, walked me through London and led me over the hills of Cape Town. It has been a journey. A journey that has given me the opportunity to hear some of your stories and see some of your faces. Those of you who have mustered up the courage to start new businesses, go back to school or who have gotten together with other readers to share the things you carry on those pieces of paper. I am moved. Always, deeply and humbly moved that something I have said or done has sparked inspiration in you. As I have heard the stories of featured readers over the summer that I have posted to my blog, I have realized something. I have settled for a “good enough” dream. The way you all risk and are pushing the boundaries has sparked something in me. Courage is contagious. And I have caught it from you. I sat at my computer three years ago and wrote the first blog entry on Lark & Bloom. Thinking to myself that the thoughts rolling around in my head might be better left unshared and unspoken. Away from scrutiny and rejection. I hit that publish button and that’s when this all started. That’s when we started. Truth be told, it is easy to take one big leap and then convince ourselves that we have landed. That this is as far as we will go – as far as we want to go. We’ve got something to show for ourselves now. No one can fault us for not trying. We tried. We succeeded. But then we stopped. We got far enough, did enough, lived enough. Your stories have highlighted places in me where I have begun to settle. And I’ve decided something. No small plans, no timid dreams. If I am honest with myself – really gut honest – I want to contribute to social change in more profound ways than I am doing now. I want to mentor dreamers and creatives to a greater degree than I am at the moment. I wanna give a pep talk to the world – I want to be an author. There I said it. Out loud and online. But that requires something terrifying and vulnerable. Something that may or may not work. I don’t have a business plan, but I have a dream. And for now that’s gotta be good enough. Your tales of triumph, ache, of stumbling through the mess to find the next steps. You have moved me. So here I am again on another summer night. Looking at what has been and saying that this is lovely, but I have to let it go. Because there is a bigger dream in me that needs chasing. Let’s be clear. You and me? We aren’t breaking up. I’m just risking on taking this to the next level. I’m going way out of my comfort zone to build a new website that will house this blog as well as other projects. But we are in this together – me and you. So, I wanted to be transparent from the start. ‘Cause sometimes we need reminding that risks aren’t always polished or easy. That sometimes it means letting go of what is to chase something bigger. Even if it feels too big at times. And maybe some of you champions need to take some risks with me. Letting go of “enough” to chase the fuller picture. So let’s be honest about the things we carry inside us. The version of ourselves we long to become. And let’s do this again. Let’s pioneer something new. No small plans. No timid dreams. Just brave. That’s us.